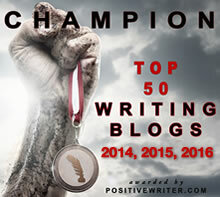 ← Co-Publishing – Alternative Path or Another Trap for Writers? I recently responded to a question in a writers’ forum from an author who was in the process of designing a cover for her novel set in a swamp in New Orleans. “I chose a ‘swampy’ font that hangs down over the art to make it look like Spanish moss,” she said. For her previous Zombie fiction book, she chose a typeface appropriately named “bullet in the brain.” Though these might seem like obvious choices, their obviousness is precisely what makes them a liability. This article offers a few thoughts on book cover design for genre fiction. Excellent typefaces often cost hundreds of dollars. Fonts on free font sites are very often either ripped off and renamed or designed by amateurs. Rarely will someone take the time to design a serious typeface and give it away. FontSquirrel and a few others offer some quality typefaces but gimmicky fonts often lack a full set of characters. For example, they may offer only capital letters and might omit dollar signs and other useful glyphs. Like free clip-art that’s available to everybody, free fonts get downloaded and used over and over and over. Paying even a small price for a typeface ensures that 99% of amateurs won’t be using it. Book Cover Typefaces: What’s in a Name? Be careful not to be seduced by the name of the typeface. Plenty of “spooky” fonts on free font sites have creepy names but that doesn’t mean the typeface is well-designed or even appropriate. If the font is named “slasher,” how many Horror writers do you think will use it on their homemade covers? Call the same font “Drippy” and writers will ignore it in droves. One typographic trend relies on letterforms that come “pre-spattered” or “distressed.” An issue with distressed or “melty” fonts is that if you have two or more letters in the title that are the same—especially consecutive letters—the distress patterns match and the title loses its “organic” appearance. The identical Ts, Ns, and Rs utterly ruin the effect of the textured type in the “bullet in the brain” example above. If you want spattered brains, get a straw and some India ink; make your own one-of-a-kind spattered letters and then scan them when they’re dry. Probably, the designer of your distressed typeface used a similar technique. How many hours did you work on your book? Why ruin it by taking typographic shortcuts? Sometimes, it’s better to use a classic, readable typeface instead. With the correct tools, you can melt it or drop another image into it. The above example was hastily made with Helvetica Neue, a picture of a steak and a Fireworks brush stroke. But though it’s readable and no two letters are identical, it places us squarely back in the realm of predictable solutions. “Frankenstein” fonts and gory textures are a predictable approach, and that’s precisely why an experienced designer will find a different way. If your book looks like the kid’s menu at the Haunted House Restaurant, it will not be noticed by serious readers of your genre. If you absolutely must design your own cover, take some of the hundreds of dollars you’re (dangerously) saving and buy a book of Chip Kidd’s cover designs. Even the best designers work with great influences in front of them. 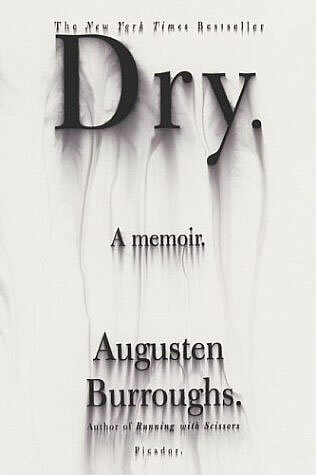 One of my favorites is the cover he did for “Dry” by Augusten Burroughs. 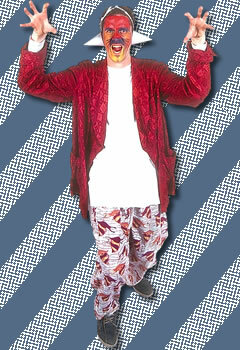 Rest assured that Kidd’s design was not produced with a distressed typeface. The cover design is effective because it shows us a believable image. The cover has storytelling impact because the “wet” text is exactly opposite the “Dry” title. How many designers would have scattered sand on the page or used a photo of a desert or filled the letters with dry, cracked mud? These are precisely the obvious, predictable solutions that would have made the book cover boring. 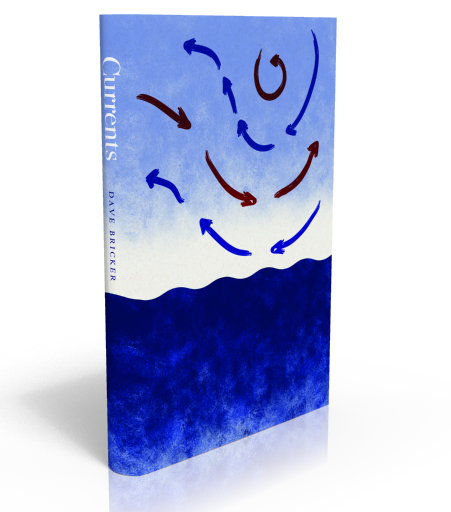 For the cover of Currents, I placed type only on the spine. The absence of a title provokes people to pick up the book and look for one. Moreover, because this is a self-published book, the primary points of distribution are online bookstores where the title is prominently displayed at the top of the book’s product page. Risky? Maybe—but what will “safe” get you? 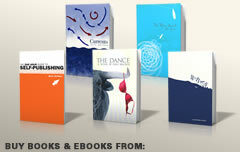 You might save money by designing your own cover but there’s much at stake. You can get your hands on Photoshop as easily as anyone but without a knowledge of typography and an awareness of trends and clichés, that savings comes at a price. Just as amateur poets often ruin their work by jumping on the obvious rhyme (heartache rhymes with heartbreak), amateur designers often choose easy, intuitive solutions that feel comfortable precisely because they’ve seen them so many times before. You may be talented and design-aware—and there are plenty of so-called designers whose skills are merely technical, but a writer will rarely achieve professional standards in editing, typesetting, or cover design without professional input. At very least, if you’re committed to going the solo route, hire a designer to critique your work as an editor would critique your text. At best, your choices, taste and talent will be validated. At worst, you’ll learn something new and save yourself from yourself. One source of quality typefaces — and one designers often fail to take advantage of — are the fonts that come with art software. Often these will include quality “clones” of popular and beautiful (and useful) typefaces. A little Google searching will reveal what these types are clones of, and occasionally they’ll actually be a bit better than the originals for an added plus. And the savings in not purchasing typefaces (especially for those beginning in the design field) can be substantial. Isn’t amazing how many designers don’t even bother to find out what the book is about and who it’s for? Cheap covers may sound like a bargain but if you don’t figure in time for the designer to become acquainted with your story, you’re likely to wind up with a one-dimensional cover design. Sounds like you picked a winner. I can only comment on what would appeal to me as a potential book-buyer. The cover font, either serif or sans serif, all caps or uc and ls, like Times Roman or block like arial, should be big enough (3/4-inch) to command attention and should provide good contrast with cover backbround (e.g., white against dark solid). I respond to an author’s name that is smaller than the title, but of equally good contrast. I’ll agree with your comments about contrast but Times and Arial are institutional fonts. They are legible but entirely lacking in personality, spirit, or attitude. In general, any formulaic approach to design will likely produce mundane results. The cover is not a wrapper or a label; it has to generate interest in the story. It’s conceivable that the meaning of a book’s title may not be understood by readers until they’ve finished the book and pondered its meaning (My first novel, The Dance is that way). In such cases, the cover art must create a conceptual bridge while not giving away the story; the cover for The Prince of Tides should not depict a royal figure standing on the shore. In other cases, such as a Field Guide to Tropical Birds, the subject matter of a book should be literally communicated by the text and images. For those more metaphorical covers, the wrong typeface can cheapen the connection between the cover and the text. For literal covers, using an institutional typeface can infer bland practicality that diminishes interest in the book.